Are you itching to learn how to become a recognized expert? 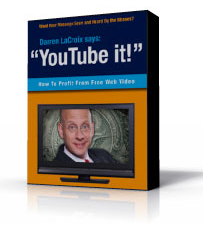 Listen as World Champion of Public Speaking, Darren LaCroix shares his secret sauce to success using YouTube. In less than 9 years, Darren LaCroix went from being a comedy club failure to beating 25,000 contestants from 14 countries to become the World Champion of Public Speaking. Since his victory, Darren has traveled the world demystifying the process of creating a powerful presentation. 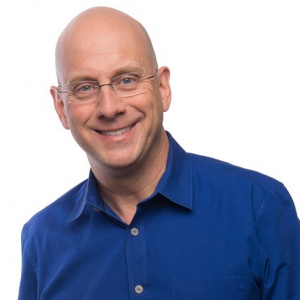 Through his live workshops and online programs, Darren works with presenters eager to learn what it takes to connect deeply with their audience. He’s the founder of StageTimeUniversity.com, the ultimate online programs for presenters. Darren is currently the only speaker in the world who’s achieved the National Speaker’s Association in Certified Speaking Professional designation, the Toastmaster’s accredited speaker designation and he’s a World Champion Public Speaker. Q: Darren, there are so many marketing strategies we could chat about, but YouTube is one that you’ve taken to a whole different level. What is it about this platform that you like, and why did you decide to choose it to concentrate your marketing efforts? A: We all need to choose one method that we’re going to go all in on. There are so many marketing methods and everyone has a strategy. There are a billion experts, but what you’ve got to do is choose the one that you like. Choose one that you can get behind that you’re willing to study and learn more about. Choose one and go all in, whatever that is. I chose YouTube because I just love video. As a speaker, I’m comfortable being in front of the camera, so it’s easy for me, yet I realized I had to full-on commit to one. But, if you don’t feel comfortable on camera, start to get comfortable having a conversation with that lens. Think about it. Your books are designed to help people, people who have challenges. You’re going to build so much more trust with people if they can trust you, see you, see your authenticity, and get to know the real you. To contact Darren LaCroix for more information about his services.